Business card is your identity, it not only speaks for yourself but also depicts the work you do, the pursuits you uphold and the standard of your business. Beauty appeals an eye and it is a natural fact that an object ‘appealing to an eye’ always gets noticed at once. Likewise a business card ought to be impressive and beautiful in the same way; so a better impression of yours is get across to your clients. 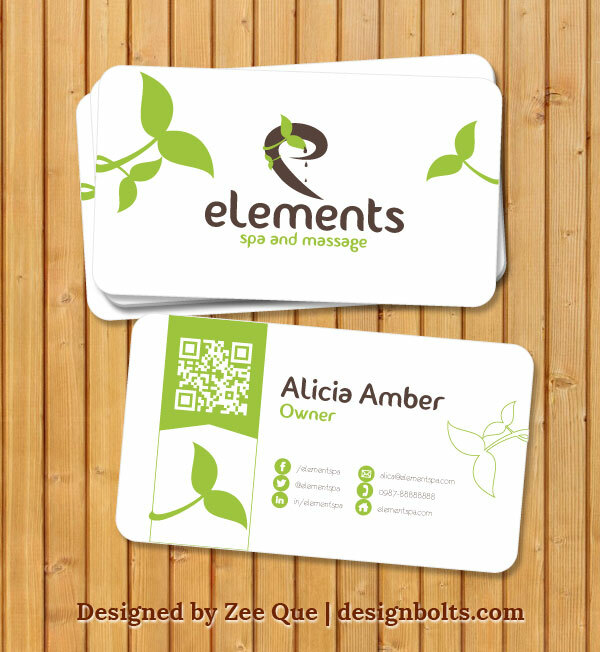 I am showcasing free beautiful business card design template for spa and massage company in Vector (.ai, .eps). This business card is a perfect example for new designers as it includes all the essential elements covering social media profile links & QR code.